I am an Active Player [colorof GTA LoA [colorfor almost 7 months now started on November. I recently continued Activity in an almost 4 month\'s old Server Jonah(757)-HKT starting this May. We would to Request for a Server Merge [colorPlease. 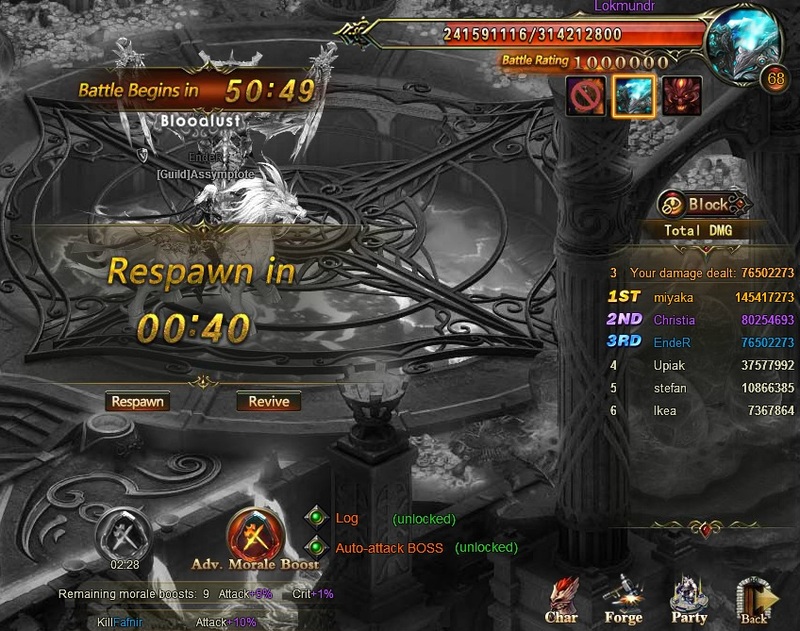 World Boss [colorhas had Less than 10 Players participating and During Team Arena, [colorSome Players also had a tight dilemma in order to finish all their Team Arena Attempts. [colorThe same happens for Team Dungeon. [colorOther High Level Players here have to Downgrade their Team Dungeon Channel Level [colorin order to Help our Fellow Players. Anyways, The Utmost Purpose of this Thread, is that We would Like our Server to be Merged. Not an Old one nor a Young One. A 3 or 4 month\'s old Server will do, in order to merge with us. Thank You Very Much, Will Await for your Reply. 2019-4-27 00:24 GMT+8 , Processed in 0.048447 second(s), 34 queries .